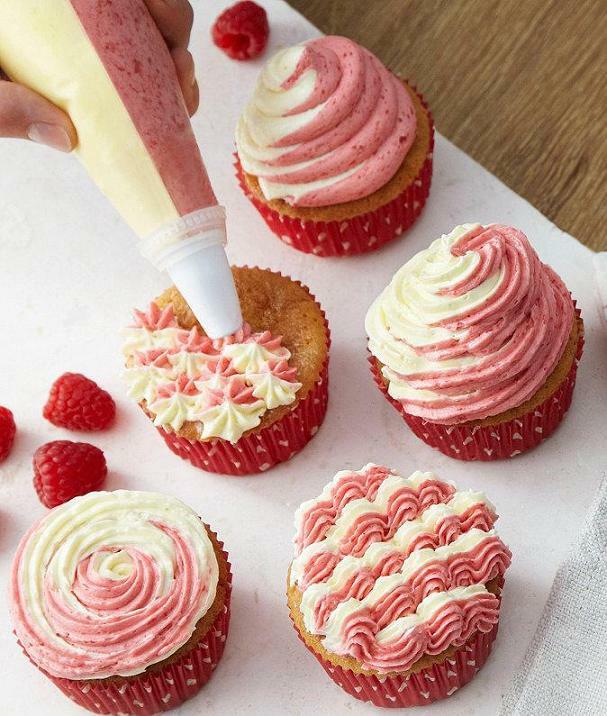 Cakes are for every happy occasion, and if you bake a cake for someone whom you care for, you know what goes into it. For you to make beautiful and delicious cakes we have the best cake decorating, cutting, and serving tools. 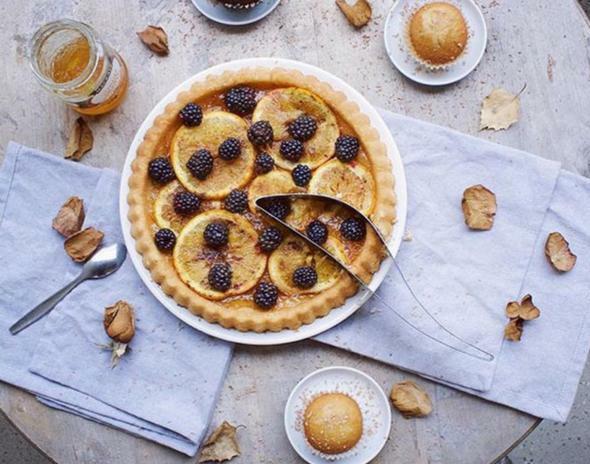 Cake Server: The Magisso cake server makes cutting and serving your favorite cake easy, stylish and you get perfect piece of cake every time. Just press the cake server through the cake and gently squeeze it for lifting the piece and then release the squeeze for getting the perfect piece of cake upright on your plate. Buy Now: $23.99. 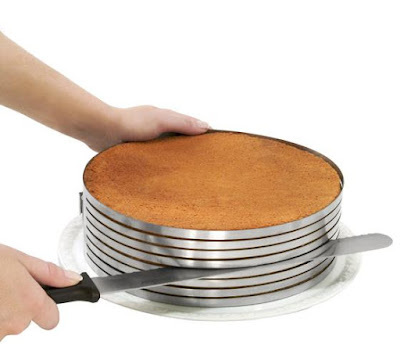 Cake Slicer: This cake slicer comes with height adjustment that makes it easy for you to easily cut the baked bread into accurately divided tarts. Buy Now: About: $13 (11.90 €). 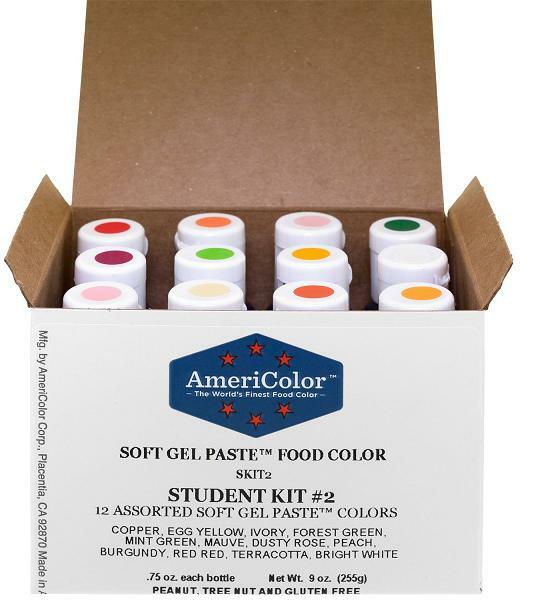 Wilton Tri-Color Swirl Icingset: The Wilton tri-color swirl icingset lets you create beautiful cakes with multi-colored icing. 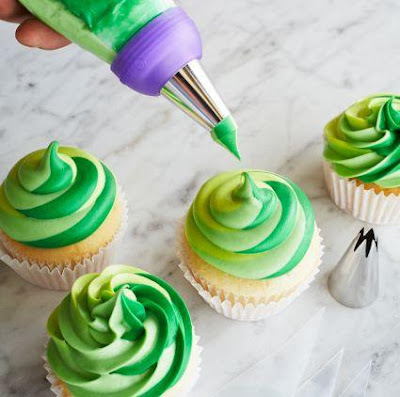 It blends two or three colors and lets you decorate your delicious treats with swirls of color. Buy Now: $7.95. 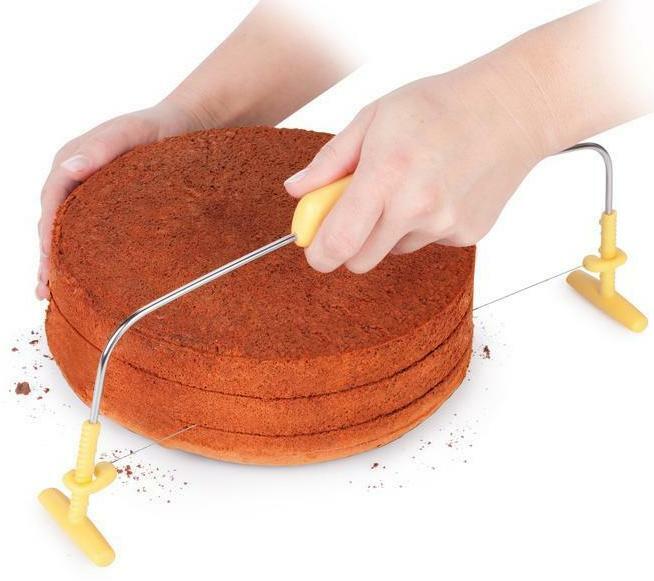 Cake Slicingmould with Baker´s Knife: The cake slicer lets you cut precisely multiple pieces of the baked bread with ease and neatness. Buy Now. 8 Piece Decorating Bottle Kit: The Baker's 8 piece decorating bottle kit gives you six ways to turn your treats into delicious works of art. Buy Now: $19.99. Duo Color Icingkit: The Lakeland duo color icingkit gives you two tone icing at one go. 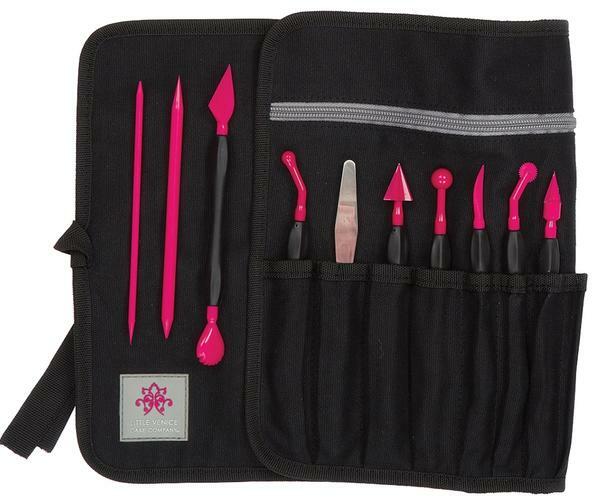 With it you can create contrasting flowers, stars or even write two-tone messages, and more. Buy Now: About: $8 (£6.49). 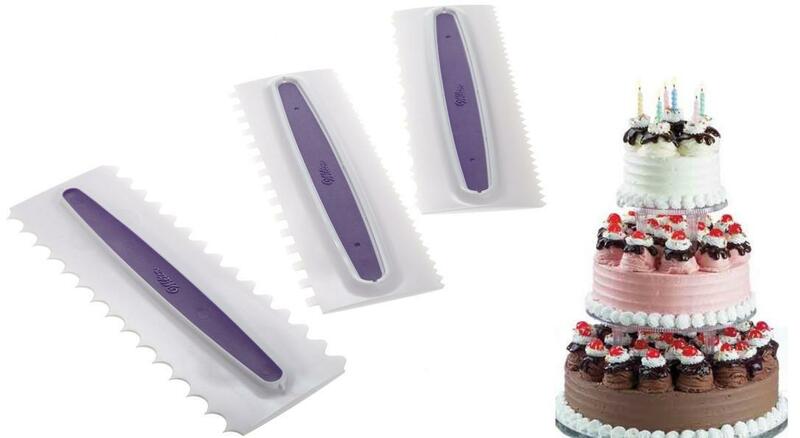 Icingcomb Set: This comb set gives you six different designs for adding perfect detail and dimension to the tops and sides of cakes. Buy Now: $8.69. Decorating Pen: The decorating pen makes things a lot easy for you. 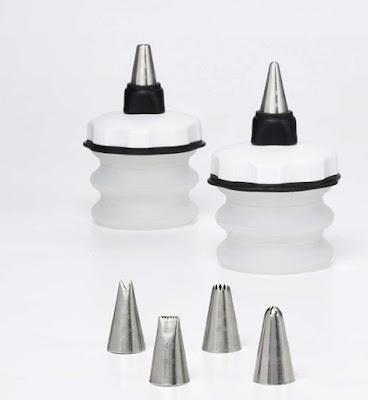 It comes with 2 nozzles for normal and very intricate decorations, a funnel for easy filling, practical closure for the nozzles and a multi-purpose cleaning piece. Buy Now: About: $19 (17.90 €). 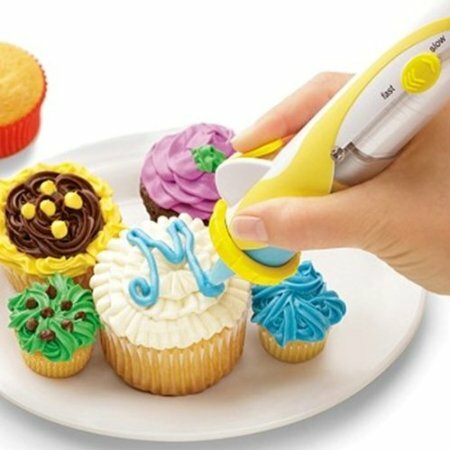 Cuisipro Decorating Pen: The Cuisipro food decorating pen lets you create intricate decorative designs. 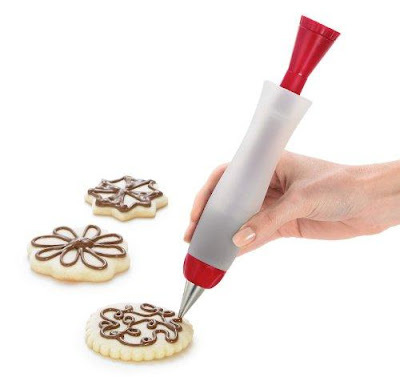 Its simple to use, works like pen, comes with 3 decorating options. Buy Now: $8.90. 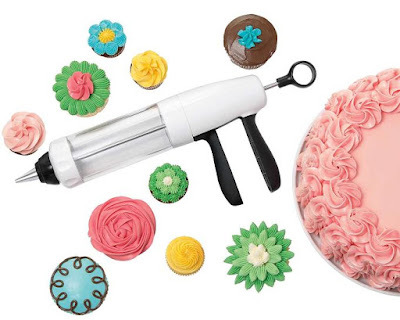 Decorating Tool: The Baker's decorating tool features qnique lever that provides control for precisely decorating cakes. 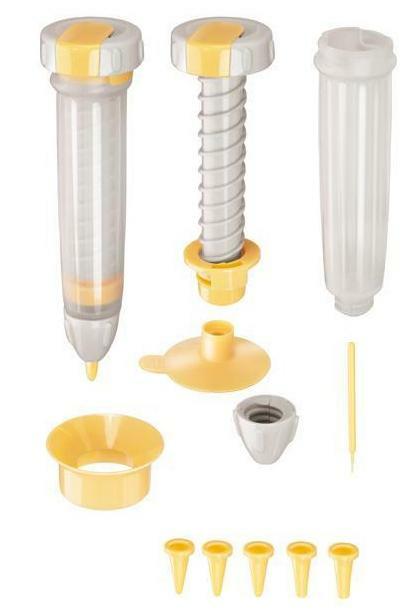 It's easy to fill and use and is designed to give you complete control while decorating. Buy Now: $39.99. Little Venice Cake Professional Kit and Tool Wrap: This kit and tool wrap is a perfect kit for any professional cake decorators, and comes with ten tools. Buy Now: $24.99. 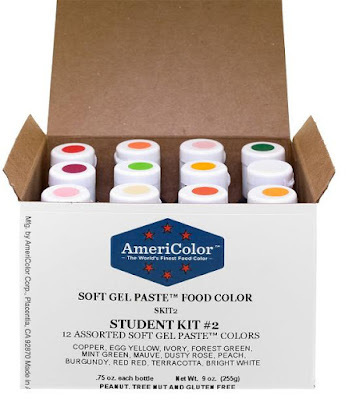 Americolor Food Color: The Americolor food color is perfect for making your icing colorful. Buy Now: $23.95. 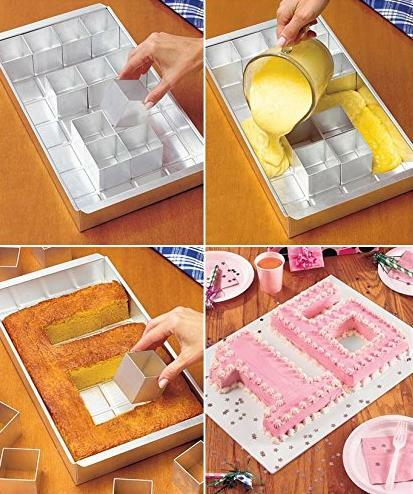 Adjustable Cakepan: With this adjustable cakepan you can create customized cakes for any special event. It comes with 12 moveable squares, these 1.5" block modules can be arranged and rearranged to create numbers or letters out of the cake. Buy Now: $17.98. 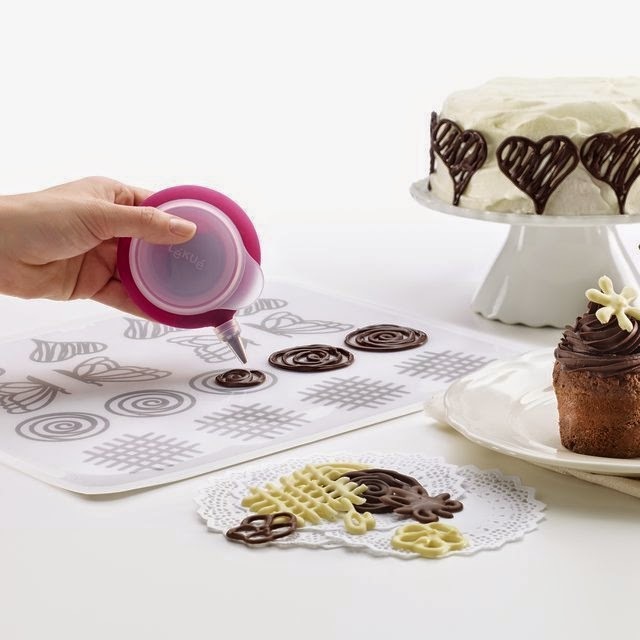 Decomat Kit: This decomat kit allows you to decorate your cake like professionals. Buy Now: $40.